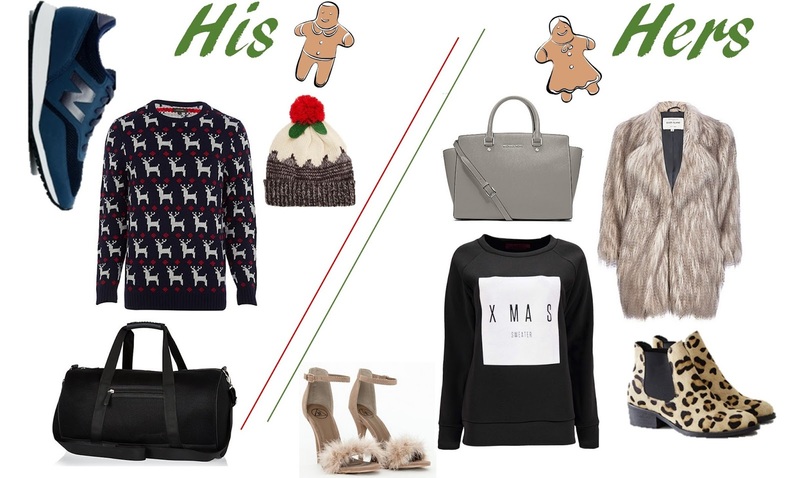 I find the men in my life the hardest to shop for. I went shopping earlier this week with my boyfriend and I honestly think he's more indecisive than me! I think when it comes to shopping for boys it's best to go for simple, every day pieces that you know they'll wear (and hopefully love). 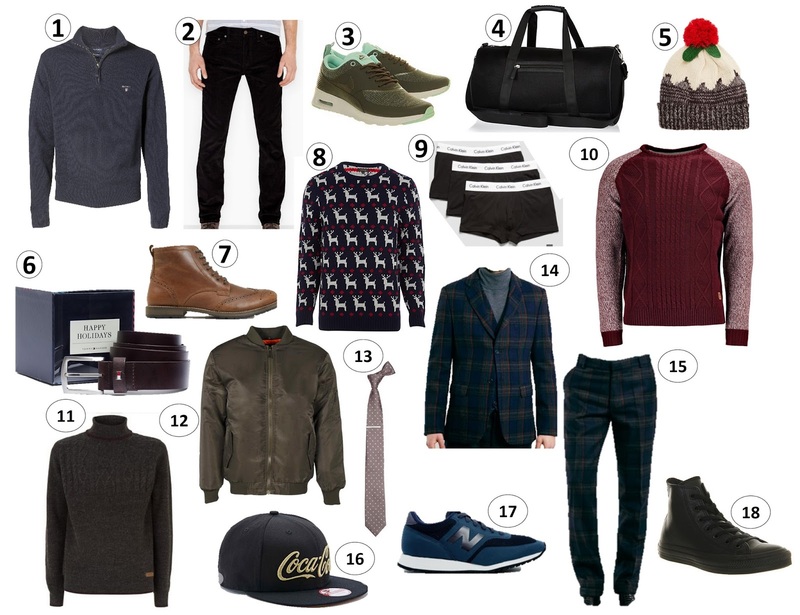 Trainers and jumpers are the most obvious choices in my opinion and go with pretty much everything in a guys wardrobe. Jumpers and knitwear are the perfect gift for this time of year because we're all wearing them aren't we? I put in my pick of a Christmas jumper too (although I'm not too sure about how useful it is to receive a Christmas jumper on Christmas.. nonetheless, it's there). I went for trainers and boots because they're the best option for most men. I also picked a cool festive hat, I think hats are pretty much unisex but you're more likely to find a guy wearing them than a girl I think - although there's nothing stopping me from wearing one if it gets too cold. For the older man I think something along the lines of a belt or tie is a really good gift because they're timeless and quite a fail-safe gift in my opinion. I also added a tartan suit which I surprisingly really like the look of! I don't think it's a piece any man I know would instantly pick but I do think it would make a nice gift. These gifts are perfect for a sibling, cousin, boyfriend, father and even grandfather. The smart guy, the sporty guy, the fashionable guy, the laid back guy, the traditional guy and so much more - there's something for every guy in your life. I tried my hardest to balance the girls' gifts; honestly, this list could have gone on forever! I love to feel glamorous throughout the festive season so there are quite a few pairs of heels, as well as some comfortable booties and even a pair of comfortable trainers! I went for coats and jumpers as those are the items I reach for the most, especially as it's getting much colder now; winter officially starts this month! Heels, heels, heels, I mean you can't really go wrong can you? I absolutely love these statement shoes! Onto more appropriate footwear I picked a couple of boots and a pair of casual trainers to heal your poor partied-out feet! I chose a few different coats because I really have fallen in love with so many this winter; I love my faux fur coat and I think it would make the perfect gift for any fashionista and I went for a parka because who doesn't need a good parka in the winter? This one is lined with leopard print so it wins big in my books! In terms of expensive gifts I went for a designer handbag; if you've been a really good girl this year then you definitely deserve that designer bag, right? I love the Michael Kors bags and this one in particular, I absolutely adore grey and think it will look nice all year round which is always a plus when splurging on a gift (to someone else or to yourself). Take your pick; there's something for every girl, and some gifts to splurge on, as well as others to save a little more on. 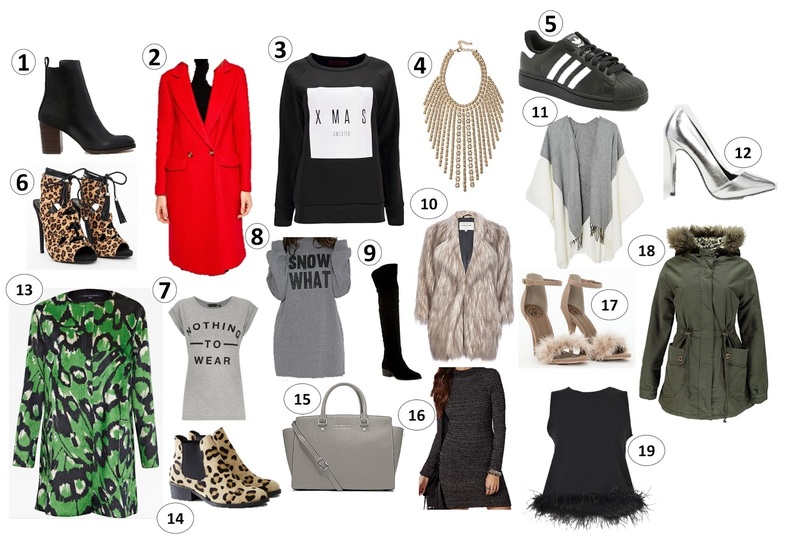 What fashion bits would you like to receive for Christmas? love this post hun! I think my Christmas list just got bit longer haha! I've just put up a wish list if you need any ore ideas haha.